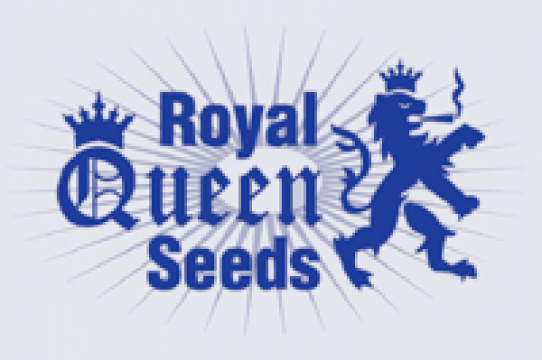 Royal Queen Seeds seed bank of the Netherlands is a new cannabis seed company set up by cannabis growers and cannabis seed producers with many years experience in the Dutch cannabis scene. They specialise in feminised and auto-flowering marijuana seeds. Cannabis seeds from Royal Queen Seeds are all organically produced and hand selected. They provide a wide variety of cannabis strains with some newer, auto-flowering strains such as Quick One, Royal Automatic and Royal Dwarf, as well as some old classics like Skunk#1, White Widow and Northern Lights. Royal Queen Seeds ship their cannabis seeds worldwide but they do not ship to countries where possession of cannabis seeds is illegal. Hello I wanted to purchase some cannabis seeds. I just wanted to know do you have different kinds? Hi Jaleesa. We do not sell seeds. Any questions should be directed to the seedbanks that advertize here. But I can tell you that yes, there are many different kinds available. I have bought many different strains of female seeds from this company and ALWAYS had 100% germination! No matter what strain you get, It will be quality. Great customer service, they have always responded to my emails in a timely matter. You can’t go wrong. They do ship to the USA. Highly recommended!